Debby McKnight is the epitome of bodybuilding success. A grandmother (?! ), she inspires her clients not only with her bodybuilding expertise but with her own healthful lifestyle. Debby has competed at the upper level in the IFBB bodybuilding competitions like Ms. Olympia, Ms. International, placing as finalist and wowing the fans with her fantastic proportion, size and body shape. 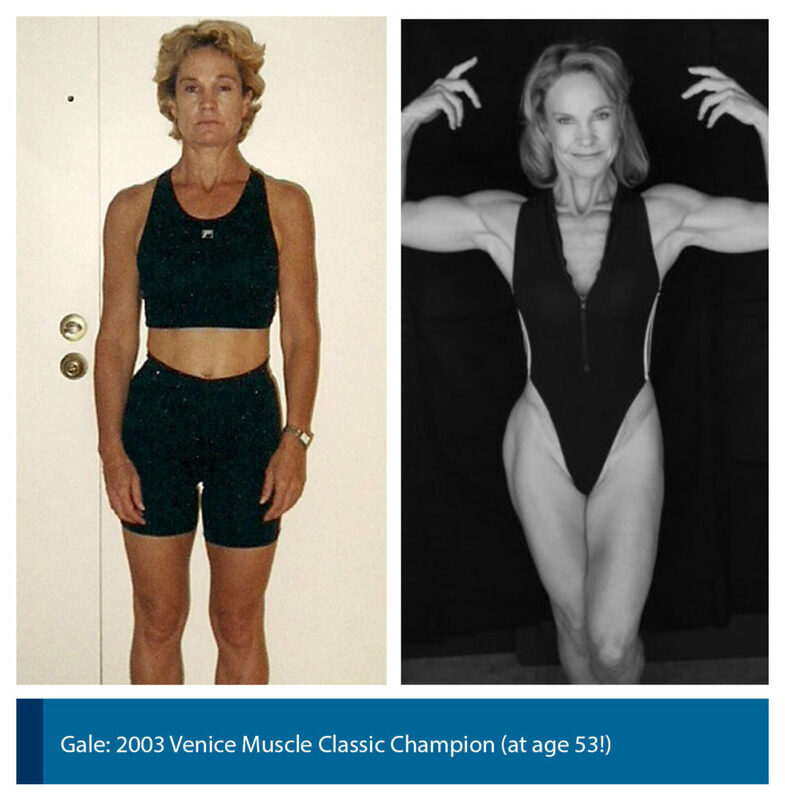 With over 30 years of experience as a fitness trainer, Debbie has trained clients of all levels of fitness – from weight training newbies, post rehab patients to competitive athletes and bodybuilders, fitness, figure, bikini and physique competitors. specially popular with women, Debbie will help moms like herself get their pre-pregnancy body back in no time. Debby is available for personal training in Woodland Hills and North Hollywood, California. Debby is also a well-known former IFBB professional bodybuilder. It’s been said that it takes at least 21 days to form a habit which is why you see so many fitness challenges that are 21-30 days in length. While these are a great way to jump start your fitness program and provide great motivation and accountability they don’t seem to increase overall longevity. Many people end up quitting after the challenge ends, much like the gym population decreases come February and March. Woodland Hills personal trainer, Debby, knows that developing the mental aspects of training and nutrition work much better than gimmicks when it comes to commitment. But if mental toughness were easy no one would quit. Having an expert trainer like Debby on your side will insure your success. Mental Fortitude: Committing to your health and fitness goals requires concentration, self-control and perseverance. It’s often referred to as mind over matter. It’s showing up at the gym when you don’t feel like going. It’s pushing through discomfort when you’d rather quit. It’s treating your workout not like an option but a must do. Confidence: As your fitness increases so will your confidence. Eventually, the scales will tip in your favor and your confidence will become a tool that tests your limits and pushes your fitness to a new level. Right now you may doubt that you’ll ever be able to run a mile, but with mental fortitude, proper training and a new level of confidence you’ll soon consider a 5K run just a warm up. Positive Outlook: An important, but often overlooked part of gaining mental toughness is controlling your thoughts. Science has proven that our thoughts are powerful enough to ellicit physical reactions. If we think we are going to fail, we often prove ourselves right. Negative thoughts drain energy and diminish your accomplishments. Rather than focusing on what you aren’t able to do at the moment, honor those things you can. After all, you showed up and not everyone can say that. Hiring the best personal trainer Woodland Hills has to offer will help ensure you reach your goals with confidence. Goals that have been clarified and tailored to your needs and desires. Contact us today to find out how we can help you set these goals and get you on the road to health and fitness.